This is a relatively mild short-term viral infection of the salivary glands that usually occurs during childhood. Typically, it is characterized by a painful swelling of both cheek areas, although the person could have swelling on one side or no perceivable swelling at all. The salivary glands are also called the parotid glands, therefore, mumps is sometimes referred to as an inflammation of the parotid glands (epidemic parotitis). The word mumps comes from an old English dialect, meaning lumps or bumps within the cheeks. Mumps are the epidemic Parotitis refer to a virus infection of the salivary glands, gonads, and occasionally other parts of the body. It is a contagious disease that occurs most frequently in children and young persons between the ages of five and fifteen years. The disease spreads from children to children in schools. Babies are immune from this disease. Most persons have mumps only once in their lives, but one person in ten may have a second attack. Symptoms of meningitis usually develop within four or five days after the first signs of mumps. These symptoms include a stiff neck, headache, vomiting, and a lack of energy. Mumps meningitis is usually resolved within seven days, and damage to the brain is exceedingly rare. The first sign of this disease is swelling and pain. The pain is first felt under one ear with stiffness of the neck and jaw. There is a slight fever which subsides in three or four days. The swelling appears first under one jaw and then extends under the other jaw. The gland becomes tender on pressure. On account of the pressure of the swelling, mastication and swallowing becomes difficult. If the disease occurs after puberty, the testicles may be affected. The ovary may be infected in females. In males, the gonads are usually swollen. If the disease spreads to the testicles, the swelling and pain are very considerable, there is a high fever, and the patient may become depressed and even a little confused. Mumps can also lead to meningitis ( inflammation of the soft membranes of the brain ) and encephalitis (inflammation of the brain ) with delirium, severe headache and other signs of irritation of the meninges, or it may spread to the pancreas, when the symptoms include pain in the abdomen and loss of appetite. The patient may vomit. Mumps are caused by a virus which attacks the salivary glands of the mouth, particularly the parotid glands located on each side of the face just below and in front of the ear. The infecting organism is a paramyxovirus. After a person is exposed to a case of the disease, it takes about two weeks for the disease to appear. Dietetic errors are at the root of the trouble. The paramyxovirus that causes mumps is harbored in the saliva and is spread by sneezing, coughing, and other direct contact with another person's infected saliva. Once the person is exposed to the virus, symptoms generally occur in 14-24 days. Initial symptoms include chills, headache, loss of appetite, and a lack of energy. However, an infected person may not experience these initial symptoms. Swelling of the salivary glands in the face (parotitis) generally occurs within 12-24 hours of the above symptoms. Accompanying the swollen glands is pain on chewing or swallowing, especially with acidic beverages, such as lemonade. A fever as high as 104°F (40°C) is also common. Swelling of the glands reaches a maximum on about the second day and usually disappears by the seventh day. Once a person has contracted mumps, they become immune to the disease, despite how mild or severe their symptoms may have been. While the majority of cases of the disease are uncomplicated and pass without incident, some complications can occur. Complications are, however, more noticeable in adults who get the infection. In 15% of cases, the covering of the brain and spinal cord becomes inflamed (meningitis). The disease is a very contagious infection that spreads easily in such highly populated areas as day care centers and schools. Although not as contagious as measles or chickenpox, mumps was once quite common. Prior to the release of a mumps vaccine in the United States in 1967, approximately 92% of all children had been exposed to mumps by the age of 15. In these pre-vaccine years, most children contracted mumps between the ages of four and seven. Mumps epidemics came in two to five year cycles. The greatest epidemic was in 1941 when approximately 250 cases were reported for every 100,000 people. In 1968, the year after the live mumps vaccine was released, only 76 cases were reported for every 100,000 people. By 1985, less than 3,000 cases of the disease were reported throughout the entire United States, which works out to about 1 case per 100,000 people. The reason for the decline in mumps was the increased usage of the mumps vaccine. However, 1987 noted a five-fold increase in the incidence of the disease because of the reluctance of some states to adopt comprehensive school immunization laws. Since then, state-enforced school entry requirements have achieved student immunization rates of nearly 100% in kindergarten and first grade. In 1996, the Centers for Disease Control and Prevention (CDC) reported only 751 cases of mumps nationwide, or, in other words, about one case for every five million people. The infection can spread into the brain causing inflammation of the brain (encephalitis). Symptoms of mumps encephalitis include the inability to feel pain, seizures, and high fever. Encephalitis can occur during the parotitis stage or one to two weeks later. Recovery from mumps encephalitis is usually complete, although complications, such as seizure disorders, have been noted. Only about 1 in 100 with mumps encephalitis dies from the complication. About one-quarter of all post-pubertal males who contract mumps can develop a swelling of the scrotum (orchitis) about seven days after the parotitis stage. Symptoms include marked swelling of one or both testicles, severe pain, fever, nausea, and headache. Pain and swelling usually subside after five to seven days, although the testicles can remain tender for weeks. As of late 2002, some researchers in Europe are studying the possibility that mumps increases a person's risk of developing inflammatory bowel disease (IBD) in later life. This hypothesis will require further research, as present findings are inconclusive. A vaccine exists to protect against mumps. The vaccine preparation (MMR) is usually given as part of a combination injection that helps protect against measles, mumps, and rubella. MMR is a live vaccine administered in one dose between the ages of 12-15 months, 4-6 years, or 11-12 years. Persons who are unsure of their mumps history and/or mumps vaccination history should be vaccinated. Susceptible health care workers, especially those who work in hospitals, should be vaccinated. Because mumps is still prevalent throughout the world, susceptible persons over age one who are traveling abroad would benefit from receiving the vaccine. •	Pregnant women who contract this disease during pregnancy have an increased rate of miscarriage, but not birth defects. As a result, pregnant women should not receive the mumps vaccine because of the possibility of damage to the fetus. 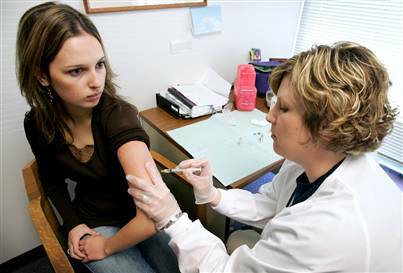 Women who have had the vaccine should postpone pregnancy for three months after vaccination. •	Unvaccinated persons who have been exposed to mumps should not get the vaccine, as it may not provide protection. The person should, however, be vaccinated if no symptoms result from the exposure to the disease. •	Persons with minor fever-producing illnesses, such as an upper respiratory infection, should not get the vaccine until the illness has subsided. •	Because mumps vaccine is produced using eggs, individuals who develop hives, swelling of the mouth or throat, dizziness, or breathing difficulties after eating eggs should not receive the mumps vaccine. •	Persons with immune deficiency diseases and/or those whose immunity has been suppressed with anti-cancer drugs, corticosteroids, or radiation should not receive the vaccine. Family members of immunocompromised people, however, should get vaccinated to reduce the risk of contracting the disease. •	The CDC recommends that all children infected with human immunodeficiency disease (HIV) who are asymptomatic should receive an the MMR vaccine at 15 months of age. In the fall of 2002, the New England Journal of Medicine published a major Danish study disproving the hypothesis of a connection between the MMR vaccine and autism. A second study in Finland showed that the vaccine is not associated with aseptic meningitis or encephalitis as well as autism. Since these studies were published, American primary care physicians have once again reminded parents of the importance of immunizing their children against this and other childhood diseases. When the disease reaches epidemic proportions, diagnosis is relatively easy on the basis of the physical symptoms. The doctor will take the child's temperature, gently palpate (touch) the skin over the parotid glands, and look inside the child's mouth. If the child has this disease, the openings to the ducts inside the mouth will be slightly inflamed and have a "pouty" appearance. With so many people vaccinated today, a case of mumps must be properly diagnosed in the event the salivary glands are swollen for reasons other than viral infection. For example, in persons with poor oral hygiene, the salivary glands can be infected with bacteria. In these cases, antibiotics are necessary. Also in rare cases, the salivary glands can become blocked, develop tumors, or swell due to the use of certain drugs, such as iodine. A test can be performed to determine whether the person with swelling of the salivary glands actually has the mumps virus. As of late 2002, researchers in London have reported the development of a bioassay for measuring mumps-specific IgG. This test would allow a doctor to check whether an individual patient is immune to mumps, and allow researchers to measure the susceptibility of a local population to the disease in areas with low rates of vaccination. When this disease does occurs, the illness is usually allowed to run its course. The symptoms, however, are treatable. Because of difficulty swallowing, the most important challenge is to keep the patient fed and hydrated. Aspirin, acetaminophen, or ibuprofen can relieve some of the pain due to swelling, headache, and fever. Avoid fruit juices and other acidic foods or beverages that can irritate the salivary glands. Avoid dairy products that can be hard to digest. In the event of complications, a physician should be contacted at once. For example, if orchitis occurs, a physician should be called. Also, supporting the scrotum in a cotton bed on an adhesive-tape bridge between the thighs can minimize tension. Ice packs are also helpful. When the disease is uncomplicated, prognosis is excellent. However, in rare cases, a relapse occurs after about two weeks. Complications can also delay complete recovery. A number of homeopathic remedies can be used for the treatment of mumps. •	For example, belladonna may be useful for flushing, redness, and swelling. •	Bryonia (wild hops) may be useful for irritability, lack of energy, or thirst. •	Phytolacca (poke root) may be prescribed for extremely swollen glands. Other herbs taken internally, such as cleavers (Galium aparine), calendula (Calendula officinalis), and phytolacca (poke root), target the lymphatic system and may help to enhance the activity of the body's internal filtration system. Since phytolacca can be toxic, it should only be used by patients under the care of a skilled practitioner. Topical applications are also useful in relieving the discomfort of mumps. A cloth dipped in a heated mixture of vinegar and cayenne (Capsicum frutescens) can be wrapped around the neck several times a day. Cleavers or calendula can also be combined with vinegar, heated, and applied in a similar manner. The patient should be put in bed for several days until the temperature returns to normal. He should be kept on a diet of orange juice diluted with warm water on a 50 : 50 basis for a few days. If the orange juice does not suit, the juices of other fruits such as mosambi, apple, pineapple, grapes, or vegetables like carrot should be given. The warm water enema should be used daily during this period. Hot and cold fomentations should be applied every two hours during the day for about 10 minutes, and should consist of two or three hot applications, followed by a cold one. The mouth should be cleaned with an antiseptic wash. The leaves of the peepal tree are another effective home remedy for this disease. The leaves should be smeared with ghee and warmed over a fire. They should then be bandaged over the inflamed part, with beneficial results. The use of the herb Indian aloe ( ghee kunwar or musabhar) is a well known remedy for inflamed and painful part of the body in the indigeneous system of medicine. A piece of a leaf of this herb should be peeled on one side and sprinkled with a little turmeric (haldi) and extract of Indian barberry ( rasaut) and bandaged over the swelling after warming. The dry ginger ( adrak ) is considered beneficial in the treatment of mumps. It should be made into a paste and applied over the swollen parts . As the paste dries, the swelling will be reduced and the pain will also subside. Further reading through our articles on Mumps health issues will give you a body of information that will help you decide what options you have to deal with the underlying causes of your problem through giving your body the nutrition products that will assist you body to heal from the inside out. We wish you well in your search for solutions to this Mumps problem and your movement towards better health in all areas. 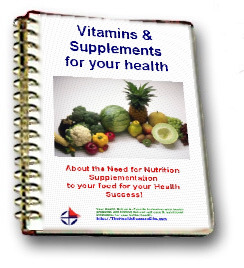 The resources on this your health online site are not intended to be a substitute for professional advice. While all attempts have been made to verify information provided in this publication, neither the author nor the publisher assumes any responsibility for errors, omissions or contrary interpretation of the web site subject matter herein. The your health online site contents are solely the opinion of the authors and should not be considered as a form of advice, direction and/or recommendation of any kind. If expert advice or counseling is needed, services of a competent professional should be sought. The author and the Publisher assume no responsibility or liability and specifically disclaim any warranty, express or implied for any products or services mentioned, or any techniques or Mumps practices described.